Other Hotel Option Courtyard Marriott At capacity. For your convenience we recommend that conference attendees book their hotel reservations at the host hotel, site of all conference sessions and social events. 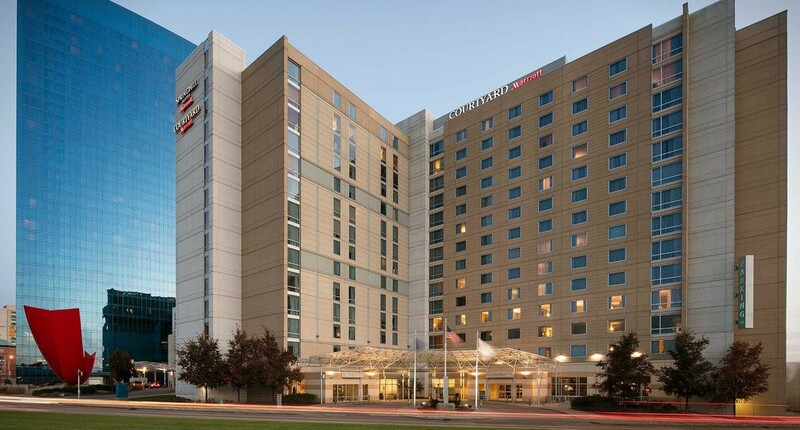 The JW is a premier Indianapolis property, conveniently located within walking distance of many restaurants, pubs, recreational recreations and cultural attractions. When phoning in your reservations, you must alert the registration staff person that you are attending NetSci 2017, in order to get the negotiated hotel room rate for the conference. Release Date: May 24, 2017: The block of rooms reserved to NetSci guests at the negotiated rate will be released to the general public at this time. To assure that you have lodging at the negotiated rate reserve your room early. The Courtyard is located in comfortable walking distance to the JW Marriott, site of conference sessions and social events. On-line Reservations: THE COURTYARD MARRIOTT IS AT CAPACITY. Release Date: May 17, 2017: The block of rooms reserved to NetSci guests at the negotiated rate will be released to the general public at this time. To assure that you have lodging at the negotiated rate reserve your room early. For Conference attendees who are seeking economical lodging, a block of rooms has been reserved on the IUPUI campus. The dorms are located approximately 10 – 12 minutes walking distance from the JW Marriott, site of all conference sessions and social events. Dorm rooms are equipped basic necessities including 2 loft single beds, a desk, linens, complimentary wifi, airconditioning and private bath in each room. Reservations: DORM LODGING IS AT CAPACITY.